The guys at MLB Pipeline, the official prospect portal for Major League Baseball, have released their Top 100 Prospect list. The list was unveiled on MLB Network on Saturday night. Cincinnati landed four prospects on the list. The Reds had four prospects in the Baseball Prospectus list, and five on the Baseball America list – both released earlier this week. 2018 first round pick, #5 overall, Jonathan India was the the lowest rated of the Reds prospects to make the list. The infielder came in at #53 overall on the list. 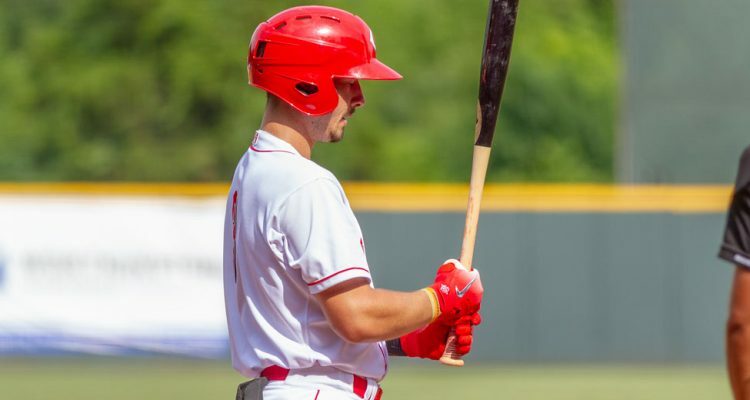 He split his season between Greeneville, Billings, and Dayton in 2018 after the draft. He hit .240/.380/.433 with 28 walks, 44 strikeouts, and he had six steals in seven attempts. On the defensive side of things he saw action at both third base and shortstop. Hunter Greene came in at #31 on the list. That’s a drop 10 spots from his ranking spot on the same list last season. The now 19-year-old spent his season with the Dayton Dragons in Low-A. After a slow start he dominated for the final 2.5 months of his season – until he tore his UCL and saw his season come to an end in late July. He posted a 4.48 ERA in 68.1 innings with six home runs allowed, 23 walks, and he had 89 strikeouts. Greene opted for rehab rather than Tommy John surgery after his elbow injury. That plan has gone well thus far, and he began throwing unrestricted in December. 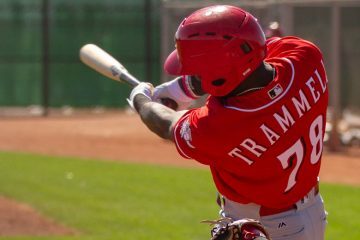 Taylor Trammell is up on the list this season, coming in at the 16th spot. Last season he was ranked 43rd on the list. He would spend his entire 2018 season with the Daytona Tortugas. The 21-year-old hit .277/.375/.406 in the pitcher friendly Florida State League. He also stole 25 bases on the season. At the Futures Game he took home the MVP Award by going 2-2 with a triple and a home run. After the season was over he then headed out to the Arizona Fall League. In 22 games there he hit .298/.359/.393 with six more stolen bases. 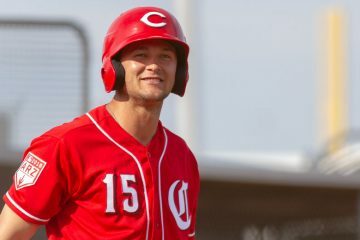 In what was likely expected by anyone who has followed the Reds organization, Nick Senzel was at the top of the list for the organization. He came in at 6th on the list. That’s up one spot from the previous year. Like Hunter Greene, he saw his season come to an end early due to injury. In late June he injured his finger on a relay throw. The injury required surgery. Prior to that he was hitting .310/.378/.509 for Triple-A Louisville. The question with Nick Senzel isn’t whether he’ll hit, it’s where he’ll play on the field. In 2018 he spent most of his time at second base, but saw action at third. In the offseason he’s been working on playing center field. Missing from the list, and I’m convinced it was done simply to drive me insane, was Tony Santillan. How he missed out on another Top 100 list is just baffling to me. His stuff stacks up with almost anyone, he walked 38 batters in 149.0 innings this year, pitched half a season in Double-A with success…. I just don’t know what a guy’s got to do. Baseball America had him at #69 on their list. And even that felt like he was being quite under ranked. The list is nice, but not that important. Per what I heard out here, Nolan was never a top 100 prospect. Now he is one of the best players in the game. Jay Bruce was a #1 prospect, but a so so player, WAR of 18.9 more or less. Arenado was the #20 prospect at his highest point. He was an elite level prospect. https://www.baseball-reference.com/players/b/bruceja01.shtml Bruce was so-so in 2018 but averaged close to 30 HR and 90 RBI in the rest of his MLB career. Three time All-Star, twice Silver Slugger. Not bad for “so-so” player. I feel Bruce has been underrated by a good percentage of our fanbase for a while now. Biggest takeaway for me from their Top 100 list? None of the top 4 were drafted. Three from the Dominican Republic, and Vlad Jr a Canadian-Dominican. I know Cueto wasn’t drafted, but that was back in 2005. Just feels like (even more so with the Asian baseball scene) that the Reds are trying to build teams while only accessing 2/3rds of the player pool while all the other teams are using the entire pool. As if they needed more handicaps to go along with not spending anywhere near the average. The Reds still have never even had a Japanese player in their history. When Jay Bruce is your best draft pick in the last 15yrs something is wrong. Good thing he wasn’t then. Votto and leake were for sure better picks. U can argue homer and the catcher the brewers just signed, and potentially Greene and senzel can surpass Bruce. Reds do a decent job drafting. Give em a lil credit for it. With Leake not debuting until the ripe old age of 22, and Votto a practically geriatric at 23 I’m just honestly surprised they lasted as long as they did, and a little surprised neither were busts by that age. Amirite? The Reds haven’t spent real money in non-Cuban Latin America, pretty much, ever. It’s not scouting. It’s not the size of the scouting department. It’s, for whatever reason, a lack of willingness to spend money there. Doug, that’s arguably a worse/more depressing answer than bad scouting. Next time you get to talk to someone in charge (now that you’re officially a big time Reds news mogul) can you ask about that? It seems like there’s just too many talented players coming from places the Reds don’t even bother trying to look. Doug, I just don’t get how u can be that upset on Santillan when u just wrote an article about potential impact rookies and he didn’t make ur list ? He will be 22 this season. Fact, the older a prospect is- the more likely they are a bust when they finally make the show. Soto and Acuna both made it at 19, Robles was 20 and only Still a prospect bc he was hurt. This year Vlad Jr is 19 and knocking on the door and if Royce Lewis is having another good season and twins are competing- best believe they will be looking at bringing him up. Adell got promoted twice last year and is another candidate that can potentially make the show this coming season and he’s 19. Tatis Jr. Is 20 and most likely starting in aaa. 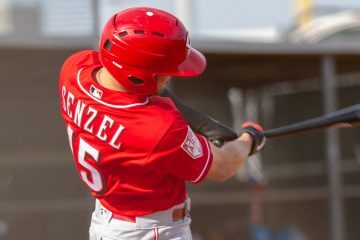 Senzel is an older guy in top 10 and only reason he’s there is bc got hurt or he would no longer be a prospect. When u look at guys who have the highest bust potential at top of list- it’s guys who are older and haven’t made it yet like Rogers and Kopech. To me, I want to see a prospect perform so well u can’t keep him down. Reds have a shaky rotation still with Castillo (unproven), disco (not back to form), and Roark (inconsistent). If Mahle or Santillan perform better than any of those 3 on a consistent basis then play the best player who gives u best chance to win. Santillan not making your list of minors to potentially impact team was list I was most disappointed to see him left off from. Santillan did not make Doug’s list because, if I am correct” he was talking about prospects that would impact the team in 2019. Santillan, I believe will impact the team, if not traded, in 2020. He is still a year away at least. It wasn’t a list. It was merely a short piece with a few guys mentioned. If I had to list out every player I thought would show up in the Majors in 2019, the article would have been 3000 words long. The inference made by Wes was a bit much. I think your prospect analysis holds true more for position players (Robles, Acuna, Vlad Jr., Soto, Tatis, & Lewis) than pitchers. I’d say it also takes catchers a year or 2 longer. As for Senzel, had he not been injured, he could have seen some ML action in his 21st year. That’s pretty young for a former college ballplayer. I cite the example of Hunter Greene. He has some extraordinary pitching talent, but he won’t be ML ready for some time. On the other hand, if the Reds had decided to groom him as a ss, I seriously doubt he’d have spent all of 2019 in low Aball. As a ss Hunter could have arrived in 2020 as an everyday position player. Not just that, but by-and-large, the guys listed are insane outliers in the history or prospects in terms of how good and advanced they are. Wes, every player you listed as an example is a FV 60+ prospect. They are the elite of the Top 100. Of course “elite” prospects arrive at the Majors sooner and perform better. Doug’s analysis of the Sonny Gray trade had this link, but take a look at success vs. bust rates for players by FV … apples and oranges comparison. Doug, makes more sense if it was just a couple names vs your whole list. I didn’t get that article. Thought it was a part 1 at first but it didn’t say that either. Fernando Valenzuela and doc gooden both made it as teens- I think. Little bit different crop at the moment but wright and McKay could both be starting in majors in less than 2 seasons. Singer and Mize are candidates for fast track too. if hunter Greene pitches like he did prior to getting hurt and forces promotion- then he’s a bullpen candidate if reds are competing down the stretch. Making the playoffs are more important than service time and he could be of use. And if Santillan is dominating AAA w low walk rate then why not give him the nod if Castillo continues to struggle or Roark flakes out ? Reds still have a shaky rotation- use him if he proves he’s ready. To me it’s not about skill set or being elite it’s about being mature enough for your mind and body to handle it. Most of those guys don’t go on to be 10x all stars or hall of gamers- they just mature faster to be ready for the show at an earlier age. I really think the Reds need to revamp their development schedules. As far as I am concerned they wasted Hunter’s first season in Billings and the way he was coddled in Dayton to protect him from arm problems, and how did that work out? Throwing 30 to 35 pitches every 5 days is fairly worthless.I think the big prospects need to be treated the same as the others. Agree, especially for pitching. Atlanta has the best collection of young arms in baseball and they have been extremely aggressive in their development schedules.